How will the rise of NFV turnkey solutions affect enterprise customers? Much of the attention on network functions virtualization so far has been on its use cases for carriers as well as their technology suppliers. Software-defined networking, in contrast, has often been covered as something with broader appeal, namely a technology that is equally at home in service provider networks and enterprise data centers. The difference has been important in making SDN orchestration seem more substantial and far-reaching than its NFV counterpart. Media coverage of SDN has certainly been more extensive. However, the truth is that NFV could broadly reshape not only carrier networks, but also enterprise clouds and vendor operations. Recent events such as VMware's introduction of vCloud for NFV, an initiative targeted at large telcos, shows the possible extent of NFV's influence. The platform is designed first and foremost to address key service provider challenges, including the need to deploy new services without having to tie them to dedicated physical appliances. Moreover, vCloud for NFV also allows major operators to run up to 40 different virtualized network functions from different vendors simultaneously, which is a unique feature among such platforms at the moment, according to VMware. "VMware's ambitious bid for the NFV cloud is already having impact beyond carriers." In enabling this feature and others, vCloud for NFV bundles VMware's homegrown version of OpenStack alongside vRealize Operations, vSphere, Virtual SAN and NSX. It is essentially packaged as an on-ramp to the NFV cloud, using VMware's proven environment, at a time when there is still a disconnect between what OpenStack expects from applications and the design of critical service provider applications. VMware's ambitious bid for the NFV cloud is already having impact beyond just carriers, though. As many as 30 different vendors are currently layering solutions on top of VMware's platform. Writing for IT Business Edge, Arthur Cole noted that this proliferation of NFV solutions could help ease the transition of SDN and NFV from a pure carrier play into something approachable by enterprises by giving them a wider, more mature set of options. NFV's eventual role in the enterprise has been a subject of debate in recent months. As we noted earlier, NFV is typically seen as something specific to service providers. At the same time, enterprises also face significant challenges in moving to NFV or SDN, given how many of them still rely on dedicated infrastructure. Using a cloud platform, such as QualiSystems CloudShell, has become increasingly important in addressing a full range of legacy, physical, virtual and cloud assets and integrating NFV and SDN. Ultimately, many of the cost-saving benefits of NFV - i.e., reduced CAPEX and OPEX, which carriers are expected to see as NFV becomes more widespread by the next decade - could potentially be realized by enterprises, too. The infrastructure automation and DevOps innovation that NFV and SDN support could also be boons to enterprises willing and able to move beyond dedicated hardware. "NFV will no doubt be deployed more regularly in the enterprise as the years roll on, but it is already gaining significant traction in the service provider space," explained Ciena CTO and Senior Vice President Steve Alexander in a column for Network World. "[A]n enterprise customer can leverage a NFV platform to order and schedule a secure cloud service to process data, such as end-of-quarter orders. With NFV, the service provider network can be provisioned, delivered, managed, torn down and billed - all based on automated software programming." NFV may make further inroads with enterprises in the years ahead. Cole could be right that growing interest in NFV from vendors to carriers could end up promoting and easing the adoption of NFV by enterprise customers. If nothing else, the uptick in NFV solutions this year should have a lasting impact on how cloud and certified solutions are sold to carrier customers. Initially, much of the conversation around NFV and even SDN came back to the prospect of escaping vendor lock-in, by virtue of being able to use open source software and commodity hardware. In reality, creating custom OpenStack implementations and overhauling infrastructure has been sufficiently challenging to make turnkey solutions from individual vendors very appealing. VMware's vCloud for NFV is just the start. HP, Ciena, Cisco and Juniper are also exploring this space. Acquisitions have also pointed the way toward integration of NFV and SDN - Brocade recently picked up the SteelApp application delivery controller from Riverbed and is expected to weave NFV and SDN into its Vyatta virtual router/firewall platform. There may be an enterprise play in here, as Brocade uses SteelApp to target enterprise customers migrating to the cloud. 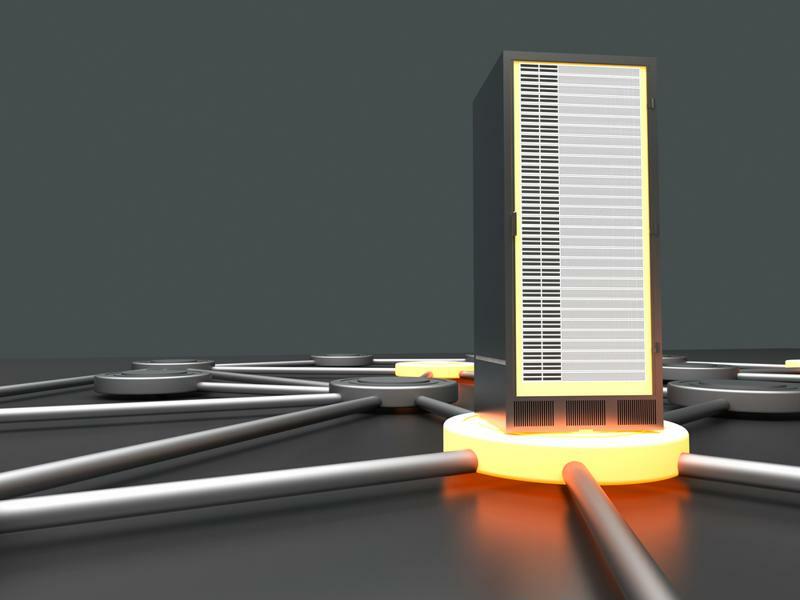 Overall, enterprise-to-data center connectivity is receiving more attention as vendors continue rolling out their NFV solutions. For example, virtual customers premises equipment allow for quick provisioning of network services without forcing any changes to legacy infrastructure or compromising network performance. The takeaway: NFV has been at the center of many new turnkey solutions so far in 2015. The initiatives of vendors such as VMware have aimed at providing reliable platforms for telcos, but the effects of these efforts may be wide-reaching. In particular, the growth of the NFV product ecosystem could be a net gain for enterprises looking to transition to NFV. With so many turnkey tools for connectivity and network virtualization hitting the market, expect NFV to extend its influence beyond just the service provider space.